The Hub » Sale Bike Of The Month...Cube Attain SL Disc! Sale Bike Of The Month...Cube Attain SL Disc! 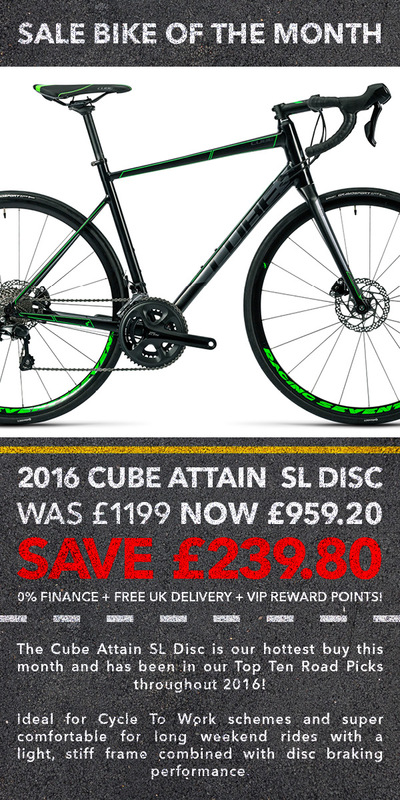 20% Off Cube Attain SL Disc Now £959.20 Save £239.80 + 0% Finance, Free UK Delivery + £9.58 in VIP Reward Points! 20% Off All 2016 Cube Bikes + 0% Finance, Free UK Delivery and VIP Reward Points!